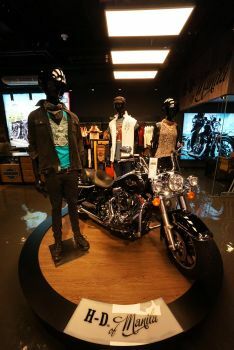 Home › Latest News › New Harley-Davidson of Manila Showroom now Open! New Harley-Davidson of Manila Showroom now Open! Harley-Davidson®of Manila - BGC just opened the doors to their latest and Ultra-Sheik showroom located in posh Shangri-La at the Fort which is in Bonifacio Global City. BGC is a true child of the 21st century - a modern wonder of contemporary living populated by great minds and passionate hearts. From tidy roads and contemporary office blocks to storied high streets and playful parks, the city is the perfect marriage of form and function. Welcome to H-D® of Manila - BGC's new home.